Most of the Kashmir tourism packages include major tourism destinations Including Srinagar, Gulmarg, pahalgam, Sonmarg and other places of tourism interests. Pala Holidays brings you best Kashmir tours for 2019 with detailed tour plan at lowest price that will fit into any budget. The list of tourism packages for Kashmir with price and detailed itinerary for each tour that includes information about the category of the package, like Standard, Deluxe or 3 Star Hotel, Luxury 4 Star and 5 Star Hotel Packages, with itinerary which gives you information about the tour plan and the Tourist places that you will visit in a Kashmir tourism package. What is Kashmir Popular for? Kashmir Tourism Packages, Tours, Prices & itineraries. Detailed tour prices and itineraries helps you in deciding which package suits your budget and tour plan, besides all our tours are open to customization. 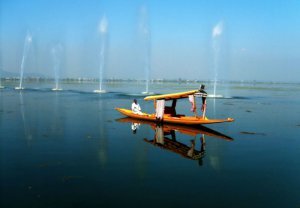 You can customize any Kashmir tourism packages from this site where you can add your own destination and select the hotels and houseboats of your choice our tour guides will also help you in creating a perfect holiday package for you with their knowledge and experience. 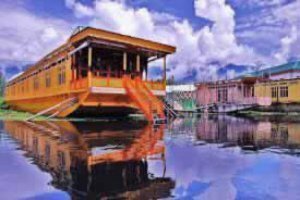 These packages include Kashmir tours from other regions of the state as we all know most of the Kashmir Packages start from Srinagar and end at Srinagar but here we provide tours from Jammu region as well. Anyone can reach Jammu by train then on-wards we provide complete tour itinerary from Jammu to Kashmir and Ladakh. Jammu to Kashmir tours are very popular among Indian tourists as these packages include visit to Katra Mata Vaishno Devi Temple, visit to Patnitop a hill station in Jammu region. These packages also include a full tour of Kashmir valley where you can visit Srinagar, Gulmarg, Pahalgam and Sonmarg, during Amarnath Yatra. The list of top 10 packages provides kashmir tour itineraries that include Vaishno Devi tour with Amarnath Yatra and Kashmir tour as well it is 3 in one tour package where you can perform the pilgrimage and have a beautiful Kashmir holiday tours. So check out the list below arranged chronologically as per the interest of the travelers. 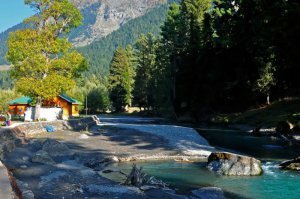 Tour Packages, holiday packages and honeymoons at Pala holidays offer you best value for money and time you spend in Kashmir. Our Honeymoon Tour Packages are exclusively crafted for couples and honeymooners which will take you through all the exotic Tourism destinations in Jammu and Kashmir. 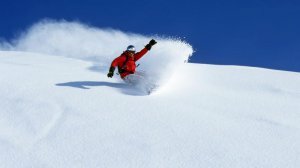 Pala Holidays Best Kashmir tour operators provide package tours for Kashmir and Holiday Tours from New Delhi, Mumbai, Bangalore, Hyderabad, Punjab, Haryana, Uttar Pradesh, West Bengal, Malayasia, Bangladesh nad Tahiland all our Kashmir tour packages are fully customizable according to budget of your own choice. Srinagar is well known tourist destination across India and abroad for the verdant houseboats. The decade old political and civil turmoil in the region has not taken anything away from the beauty of Kashmir trips With peace returning to the Kashmir Valley, it has now become a tourist hot spot owing to its amazing cultural diversity trips, the sheer beauty of the mighty Himalayas, and the green valleys whose beauty has attracted a horde of migrants from West Asia and Central Asia down the ages. According to the 1981 census reports, Kashmir has a population of 77,18,700. Almost 50% of the population is engaged in agriculture. The Kashmir Valley is dominated by Muslims, while the Jammu region has an equal distribution of Hindus and Muslims. The Ladakh Valley has a Buddhist population, with a sizeable Muslim minority. The state of Jammu and Kashmir has three climate zones: the Arctic zone of Ladakh, the temperate climate of the Kashmir Valley and the sub tropical region of Jammu. Altitude ranges from 1000 to 28,250 feet, causing sharp climatic differences in the state. The fierce beauty of the Ladakh Valley is a draw for tourists, despite the inhospitable terrain and cold desert like conditions. 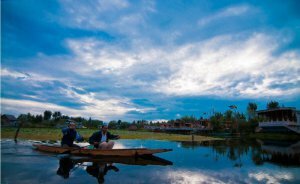 The Kashmir Valley, with its clear lakes, pine forests and heavy snowfall in winters, counts many tourist footfalls in summers. The state of Jammu and Kashmir became part of independent India on August 15, 1947, when the Maharaja of Kashmir, Hari Singh, decide to accede to India. The newly formed nation of Pakistan, however, sent in its army to capture the state. The Pakistani army illegally occupied almost 1/3 rd of the state. When the then Prime Minister of India, Pandit Jawaharlal Nehru, took the matter to the United Nations, it issued an order for plebiscite in the region, provided Pakistan withdrew it army from the region. Since Pakistan did not withdraw the army, the plebiscite was never held, leading to strife and wars between the two neighboring countries over the decades. However, with peace and normalcy returning to the Valley, the state has been opened up for tourism. Kashmir is the northern most state of India. It lies between 32.17 degree and 36.58 degree North latitudes. Of the total 22,22,000 square kilometer area of the state, 78,000 square kilometers is illegally occupied by Pakistan and 42,000 square kilometers by China. The state consists of the dry mountain belts of mountain plains, the high Pir Panjal range, the lower Shivalik range and the Indus river valley.